Posted By Roger Hogan On January 10th 2011. Under Blog . A medical worker is one of the most responsible jobs. If you have the skills, qualifications and education you can apply for the position of a medical assistant. You need to take a vitally important step. And that’s resume writing. There are resume writing services willing to help you get the job you want. But in case you think that you can do it yourself, consider some pieces of advice that will help you. The first part of a medical assistant resume is your profile. The profile has to contain the basic information about you, like your address, phone number and email address. It is advised that you place the profile section in the upper part of your resume. 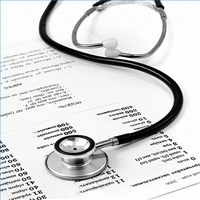 The second part you should place when writing a medical assistant resume is the job objective. This is like you goal, the reasons for applying for a certain job. If you are going to become a medical assistant you will have to describe how you will help your clients and patients. Mention your skills and show how they will make you an ideal candidate for the position. The third section is the work experience segment. You must understand that this is a list of your previous jobs. It should tell the employers where you’ve worked as a medical assistant and how successful you were. In case you received some awards or honors from a clinic or a hospital where you worked, list them in this section. And lastly, don’t forget about the reference list. That’s a list of people who can confirm your qualifications and reputation. Yeah, don’t put some strangers in the list! You have to ask permissions from every person you include in the reference list. Our resume writing service knows not only the format for medical assistant resume writing but also all the peculiarities that make your resume an outstanding one! We do not sell resumes, our resume writing service helps you get the job you want. « Can’t Find a Job? Think about Truck Driving!